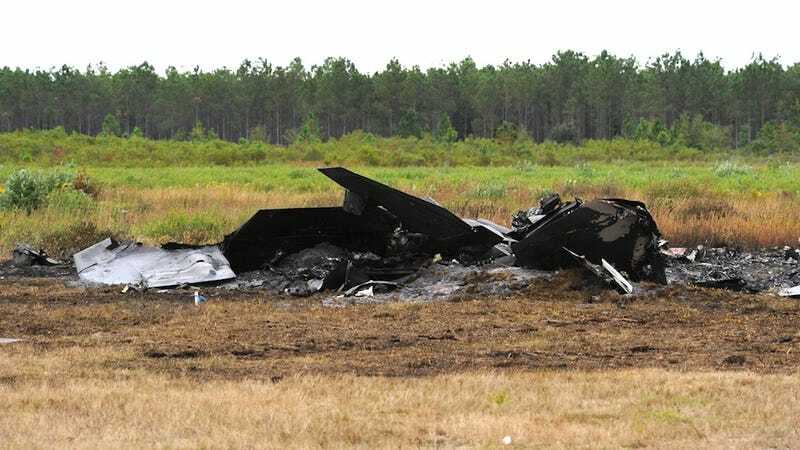 Over the weekend, a gigantically-expensive F-22 stealth fighter crashed. Again. And just like every other time, the Air Force is throwing up its hands and stroking its chin about why the thing crashed. But one fact remains: your money's burned. This is the scene of the crash, next to a highway in Florida. The final resting place of a jet that was designed to fight... Russia? China? At least it looks like it gave that Floridian turf one hell of a thrashing—and let's be glad the pilot survived this one.